WASHINGTON (CN) – The journalist behind Salon.com has brought a federal complaint to get records on the ex-CIA official at the center of congressional investigations into the assassination of President John F. Kennedy. David Talbot, who has claimed in books and articles that Kennedy’s assassination was a conspiracy, says he asked the State Department and CIA for travel records and other documents about William “King” Harvey. At the CIA, Harvey worked on a program known as ZRRIFLE that recruited criminals in Europe to help conduct assassinations for the United States. Talbot also requested “passport and visa records” on F. Mark Wyatt, a former CIA officer who Talbot claims suspected Harvey knew of the assassination in advance. In his 12-page complaint, filed Friday with a federal judge in Washington, Talbot says the State Department gave him just 5 full pages of the 10 documents on Wyatt it found. Talbot says the department took two years to let him know that it had no responsive records on Harvey. The CIA meanwhile turned over 419 pages of records, but it denied Talbot a fee waiver reserved for members of the media. Talbot says these CIA files also proved to be highly redacted. He says the agency searched only two departments for Harvey’s travel records. The agency did turn over a single photo of Harvey. James Lesar, Talbot’s attorney, has not returned a request for comment. A spokesman for the CIA declined to comment, citing department policy to not comment on ongoing litigation. On the same day Talbot filed his suit, U.S. District Judge Royce Lamberth tossed out an unrelated suit about footage of the Kennedy assassination. While the most-complete film of the shooting is credited to Abraham Zapruder, a Russian immigrant living in Texas, the government also studied footage of it on Orville Nix’s home-movie camera. Gail Nix Jackson brought a $10 million complaint in 2015 after the National Archives and Records Administration told her that her grandfather’s original footage had gone missing, along with the chain-of-custody index. Lamberth dismissed the suit for lack of jurisdiction, saying the case belongs in the U.S. Court of Federal Claims, not U.S. District Court. 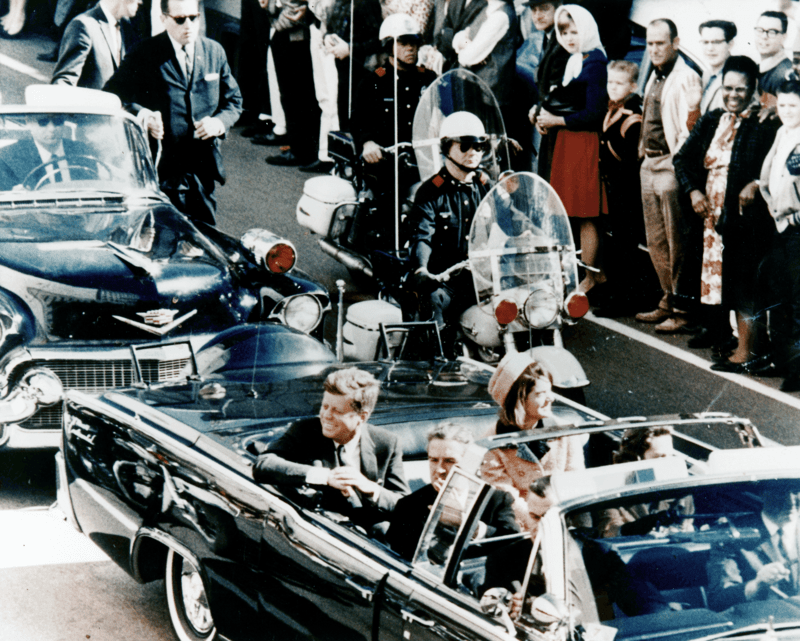 Nix’s footage captured the Kennedy motorcade rolling through Dealey Plaza from opposite the grassy knoll. The FBI and the House Select Committee on Assassinations used the film to investigate the shooting, but Nix also sold his footage to UPI for $5,000. Jackson learned that the House Select Committee on Assassinations took possession of the original footage in 1978, and that committee was supposed to turn over the film to the National Archives when it completed its tenure.